We’d be lying if we said that we don’t enjoy a hint of speed in our lives once in a while. We do try and save it for the track most of the time, but that’s easier said than done. The red-blooded Americans that live down in Texas enjoy their speed just as much as we do, and if you don’t believe us, check out this list of the fastest speeding tickets in Texas from 2018. The Drive reported about the 50 fastest speeding tickets in Texas from that long list and we took notice to one car in particular. The sixth fastest car to receive a speeding ticket in Texas last year wasn’t actually a car. 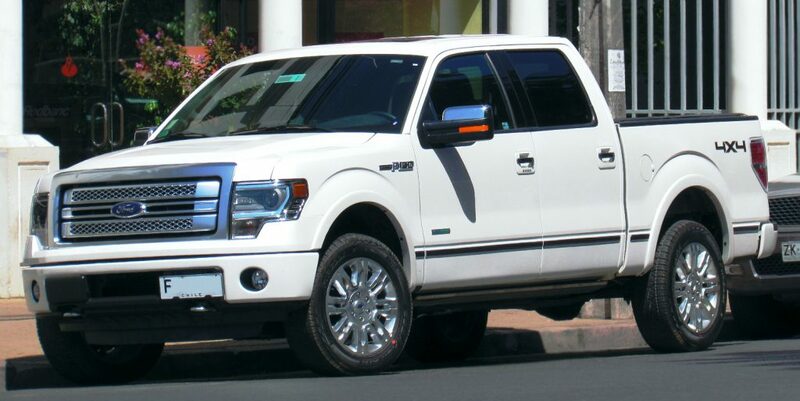 It was a 2013 Ford F-150 that was clocked at 150 mph in a 65 mph speed zone. An F-150 doing 150… poetic, no? Although the Mustang was not the fastest Ford that received a speeding ticket in Texas last year, it still made the top 50 list multiple times. In fact, the first ‘Stang to make the list was only four spots back at number 10. A 2016 Ford Mustang was ticketed for doing 147 mph in a 75 mph zone, which really isn’t a big gap from the F-150, but hey, we’re still talking about a pick-up truck. Interestingly the first Dodge Challenger to make the list was in eighth place, with a Chevy Camaro following in ninth. Motorcycles took most of the top spots. Only two other Mustangs made the top 50 list, and as a whole, the list was littered with sport bikes and other sporty machines. Subscribe to Ford Authority for more F-150 and Mustang news. David! Congratulations on the achievement… would you be willing to tell us more? Howdy: what boltons does it take? and how long can you maintain the heat?TWENTY gallons in about three minutes in my stroked B9 hot rod.